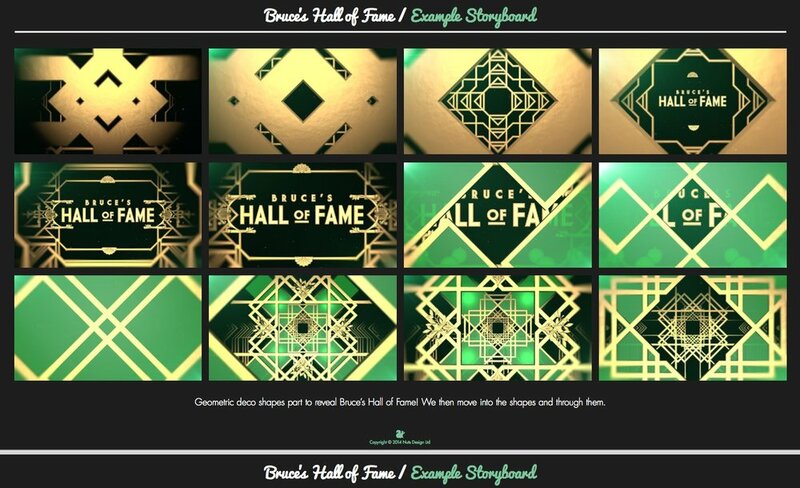 We designed a title sequence and screen graphics for Bruce's Hall of Fame. Celebrities performed songs and routines of famous faces from the past. Harking back to the heyday of theatre we created a dynamic art deco inspired title sequence to introduce the celebs.